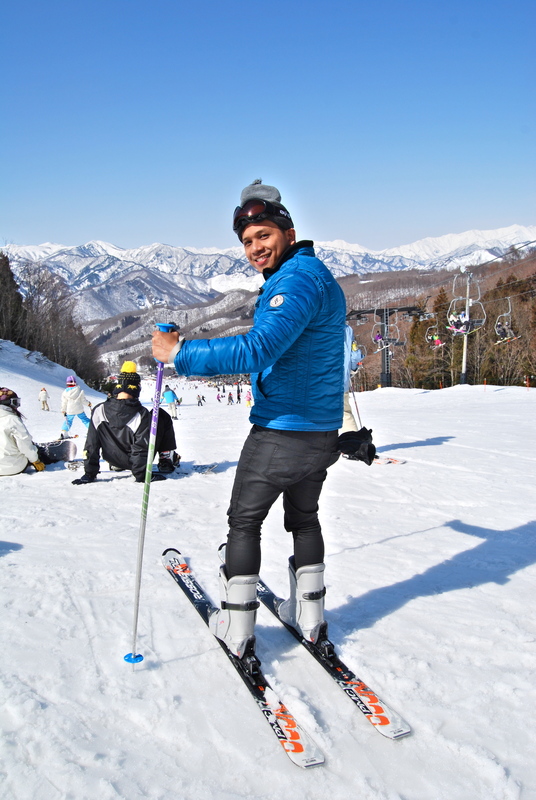 I have always wanted to visit Sapporo and Nagano in Japan among other places and try skiing. I was still based in Singapore then where my sister was also working when we embarked on a Japan trip. As a Philippine passport holder, getting a Japanese visitor visa in Singapore was a breeze. It was my fourth visit to Japan and my sister’s first. 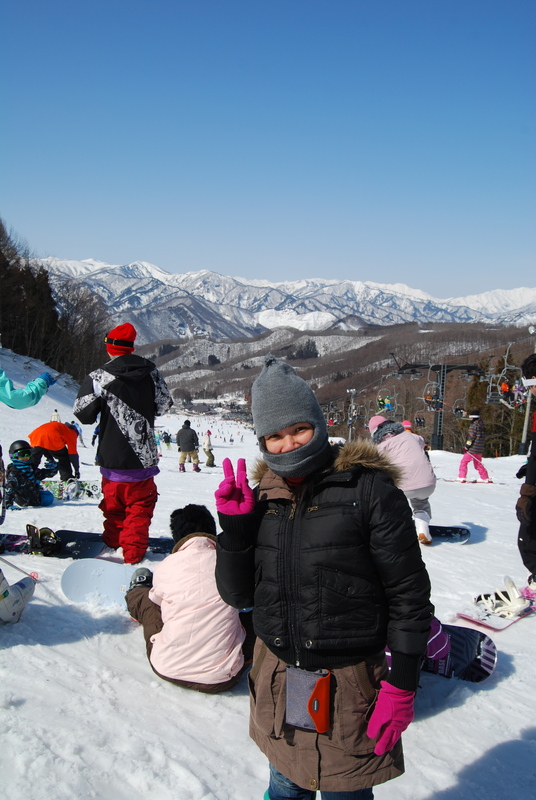 I thought my dream of visiting those two Japanese ski cities would be realized during this visit to Japan. 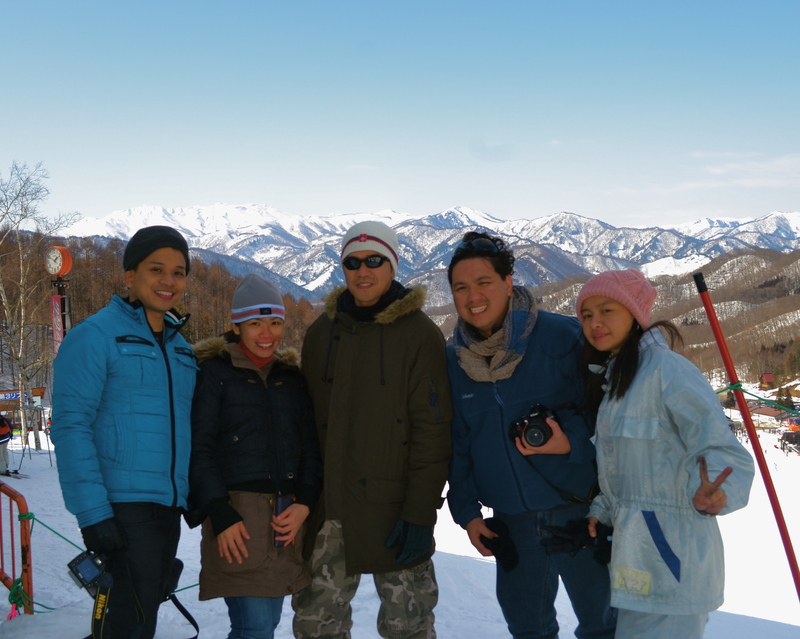 Suddenly Sapporo in Hokkaido was out of the picture as my brother who was working as a nurse in Kushiro also in Hokkaido came to Tokyo instead to meet me and my sister. 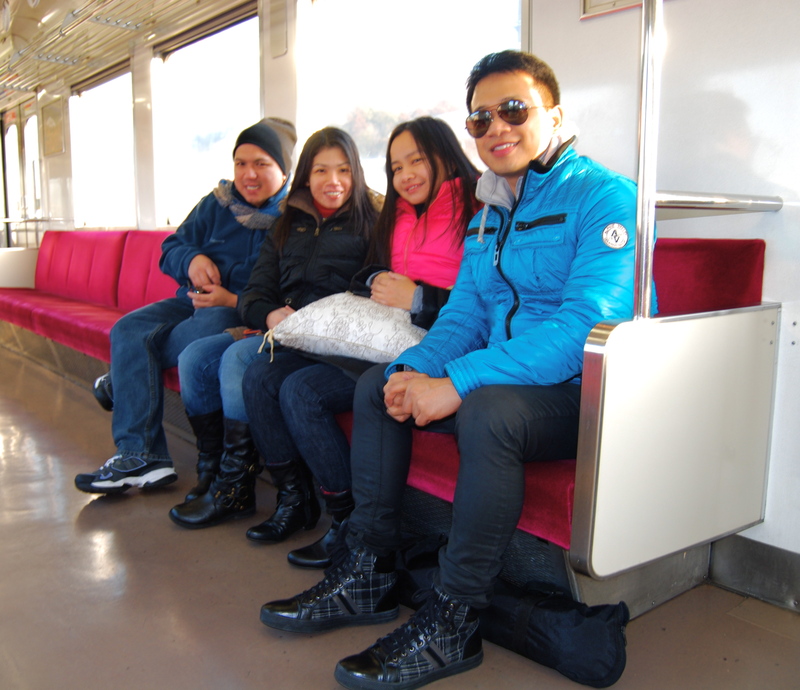 We took a 1.5-hour train ride from Tokyo to Ashikaga where we would spend the night in the flat of my brother’s friend before our skiing adventure. 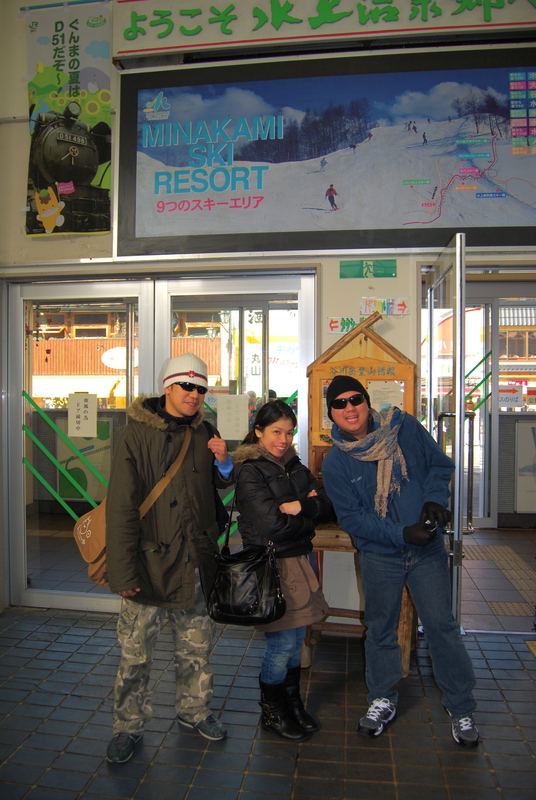 The next day we would take the train from Ashikaga to Minakami. Oh no…..first, no more Sapporo and now no more Nagano? Why Minakami? 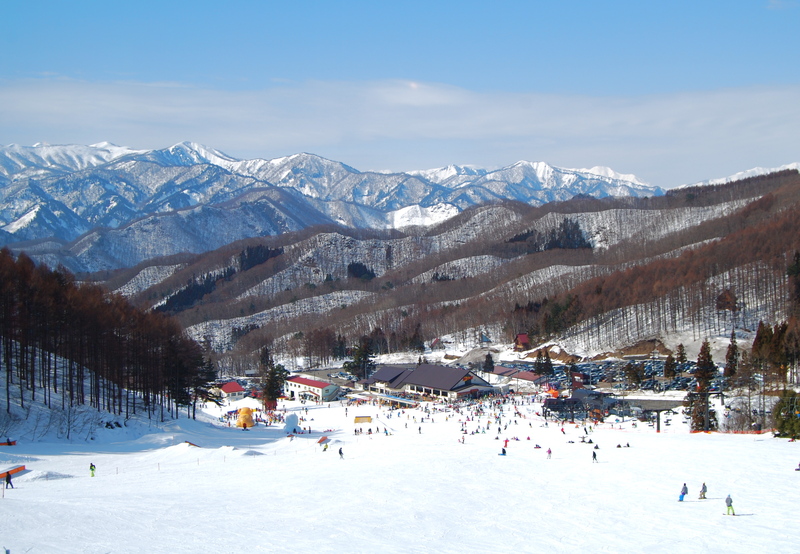 Well, my brother’s friend who took care of finding the ski resort told us that it would be more time and money saving to go to Minakami instead of Nagano. Nagano is an hour farther than Minakami. Anyway Minakami is not that bad. 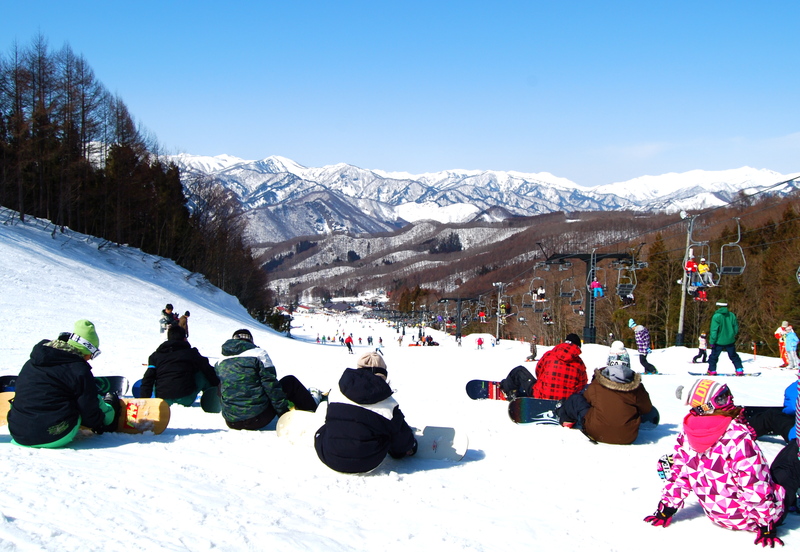 And everyone was convinced that we will go to Minakami. All these happened one week before the devastating 2011 earthquake hit Japan! 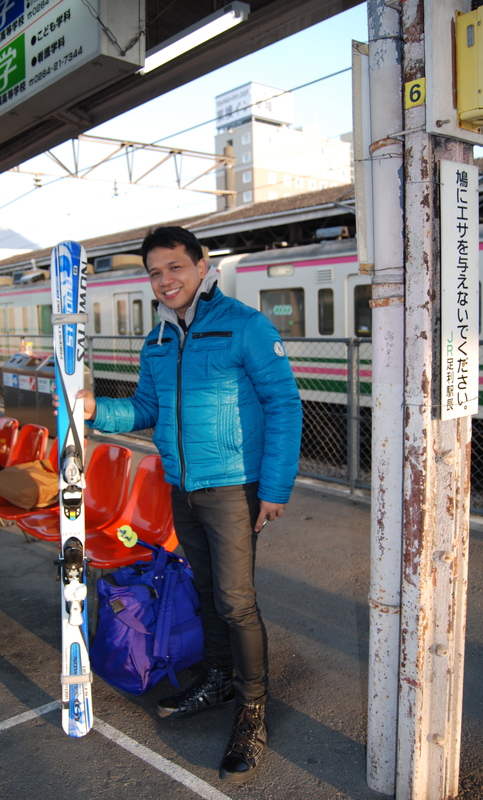 The following day, at the almost deserted train station in Ashikaga as we were waiting for the train for Minakami, we chanced upon a local also going for ski that day. 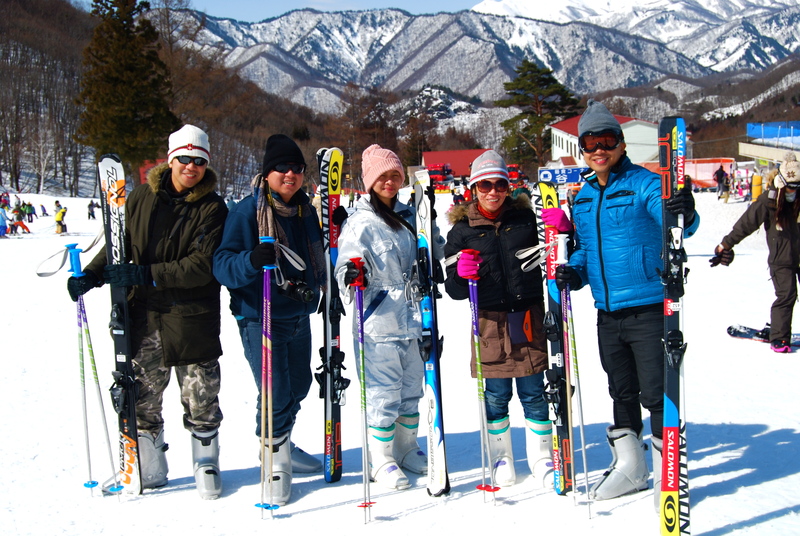 We asked if we could take a picture with his skis and he agreed. My sister Aileen and friend Nigel. Myself and Ada, my brother Eric’s friend based in Ashikaga. 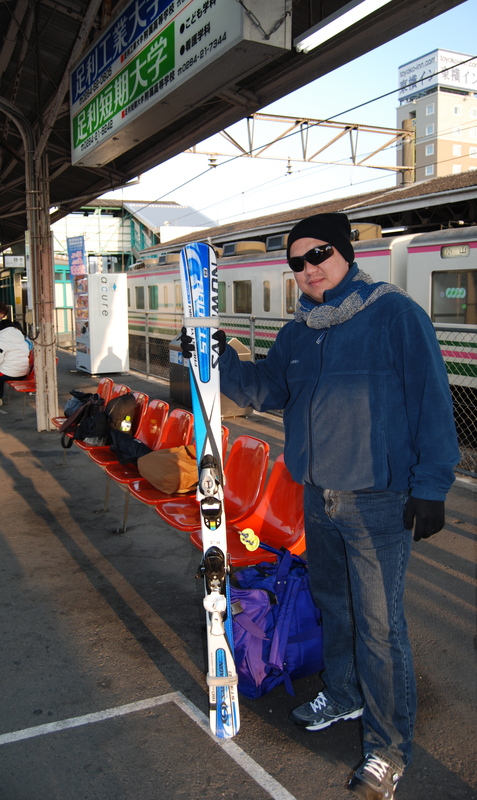 And my brother Eric, who was based in Kushiro (Hokkaido) then. We finally boarded the train for Minakami. It was just a regular train as there was no bullet train to Minakami. We had the particular train car to ourselves. Finally after 90 minutes, we arrived in Minakami station. 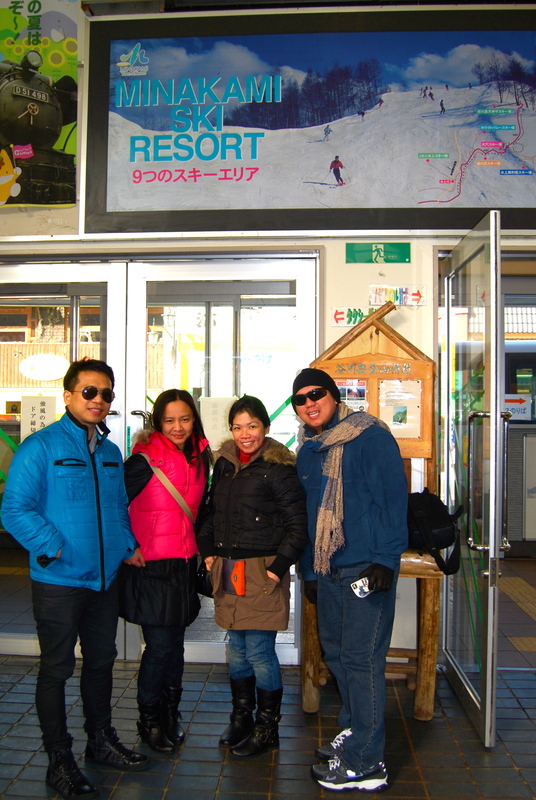 From Minakami station, we hired a taxi for 5,000 yen for a 15-min ride to a resort. 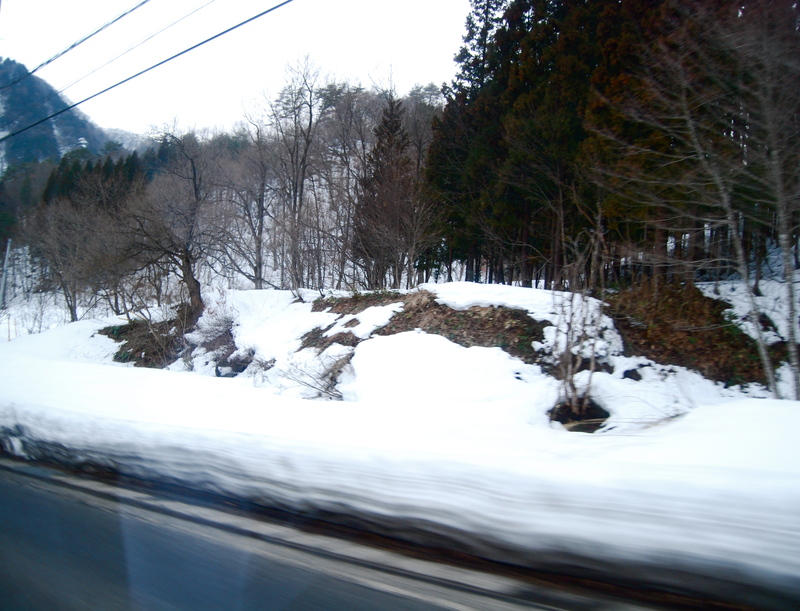 Thick snow was still visible along the way to the resort. 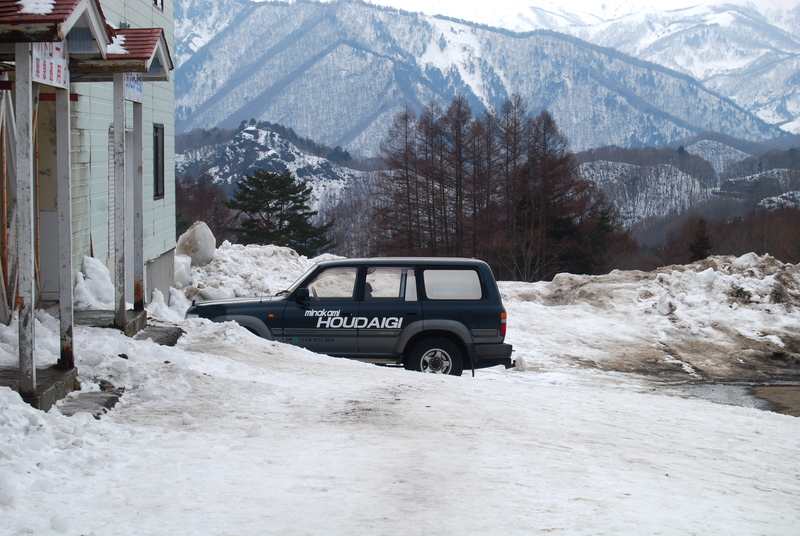 We reached Houdagi Resort before 10am. 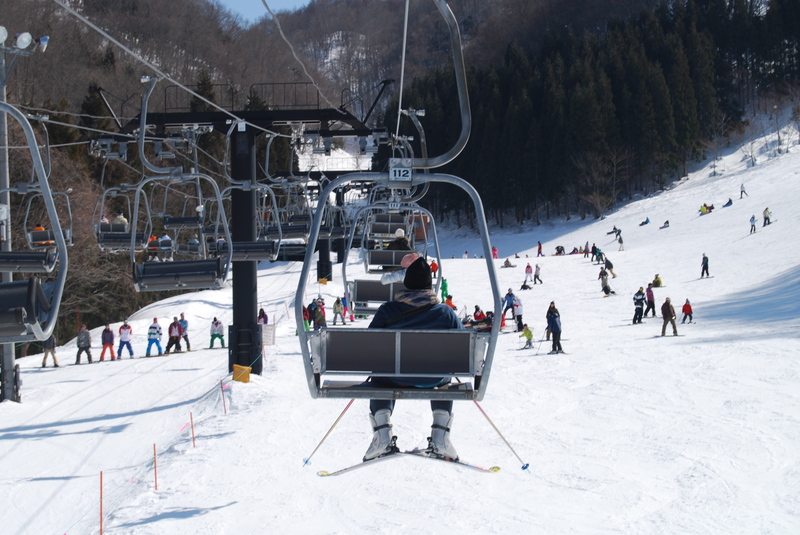 It’s one of the better resorts in Minakami…and it is huge. After renting all our ski equipment, we were ready for the slides! 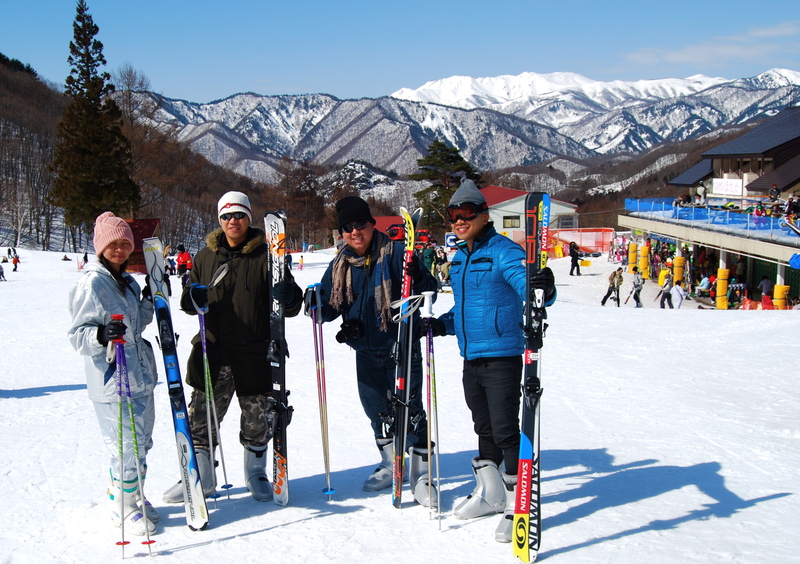 Only our friend Ada had a previous ski experience and the rest of us were all first timers. 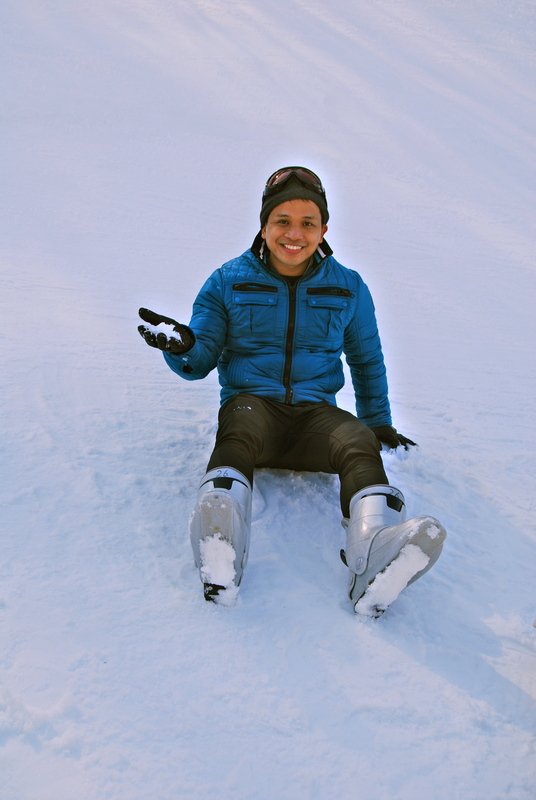 Yes, it would be my first time to ski. First times are always fun, exciting, scary and most of the time, disastrous. As beginners we first tested our skills at the base of the resort skiing our ways for short slides. After the quick practice we boarded the ski lifts that would take us to the top of one of the 5 ski starting points in the resort. When we reached the top, the view was breathtaking. Hmmmm it seemed I was all set to ski down the slope! Actually no! 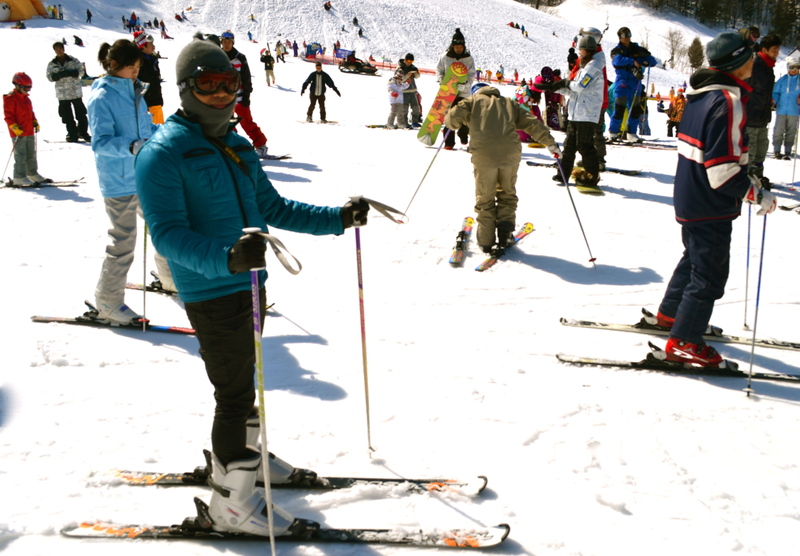 Most of us were scared as we did not have the confidence if we could successfully ski down to the base of the slope without hurting ourselves. 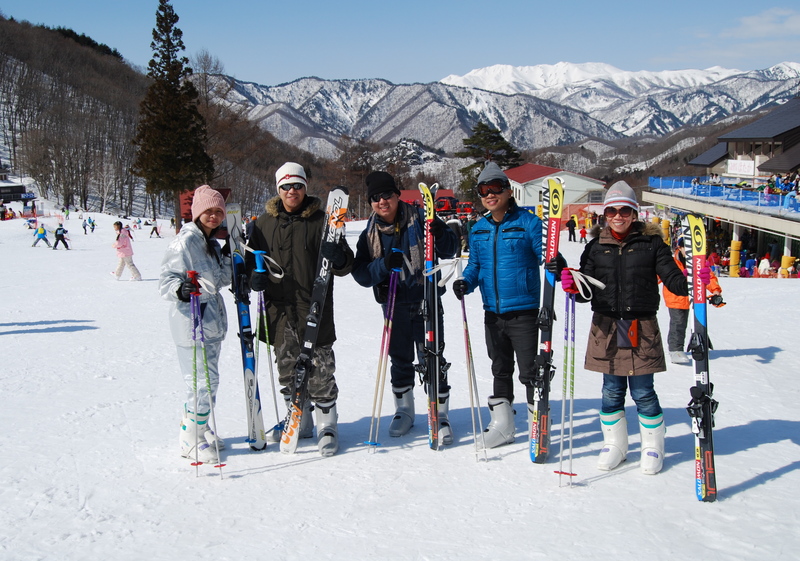 So we get off our skis and enjoyed the scenery for a while and joined the other skiers who were resting. And then we did the incremental skiing until we reached the middle section of the slope where there was a restaurant and where skiers could rest. We had our lunch at the restaurant having the eternally delectable ramen. 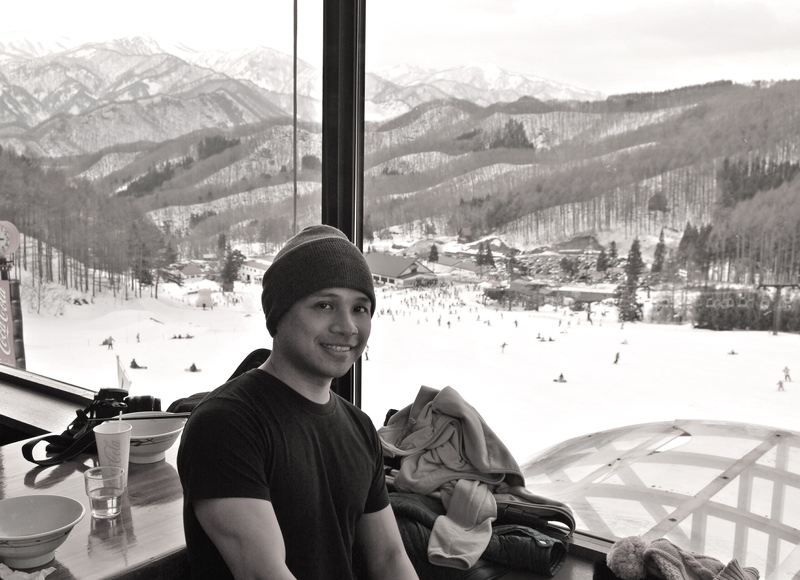 The view from the restaurant reminded me of the views from the Swiss Alps so we stayed there for a while. The scenery was indeed lovely, a dreamlike painting! And so we have recharged our bodies and were ready for the other half of the fun. 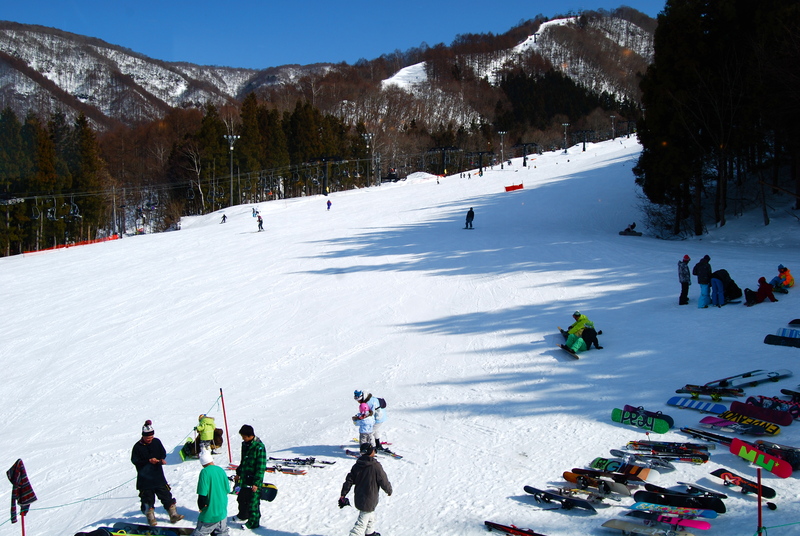 We reached the base of the slope unhurt and we continued to ski in the area for beginners. 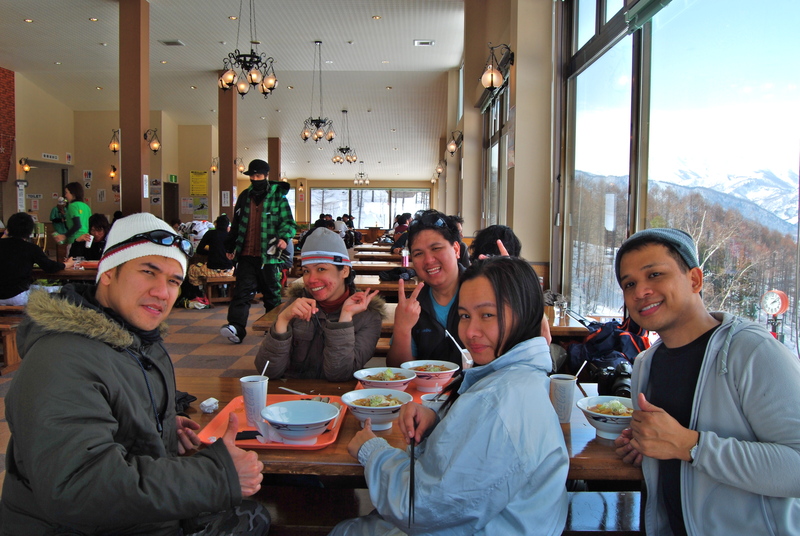 We left the place with so much memories of snow, fun and laughter. 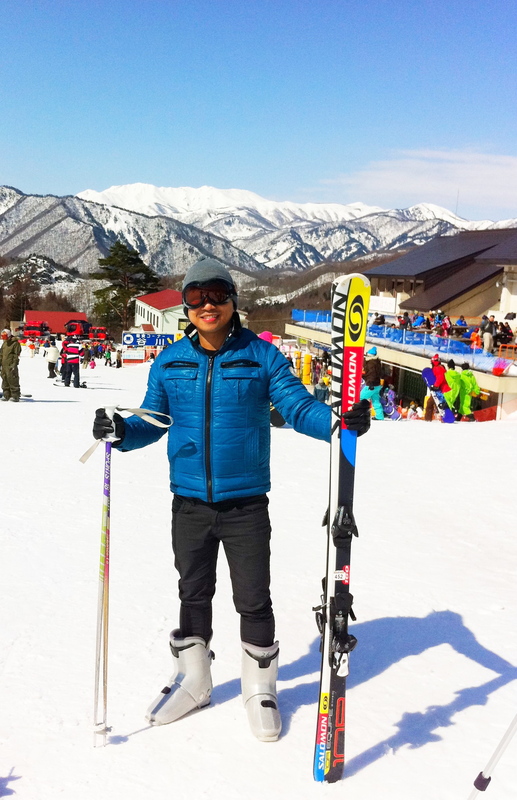 Have you tried skiing? How was your first time? Thank you for your support Lester! Thanks for the suggestion. I would keep that in mind.